Posted March 18, 2018 & filed under How to Build a Racehorse. Good track maintenance provides a solid foundation for both equine and human competitors. The goal of any maintenance program is to ensure that the surface is consistent, safe, and fair. In this blog, we’ll get into the nitty-gritty of how racetracks across the country create a level playing field for all entries. Based on its condition on race day, the track will receive a rating, which depends heavily on the track’s water content. 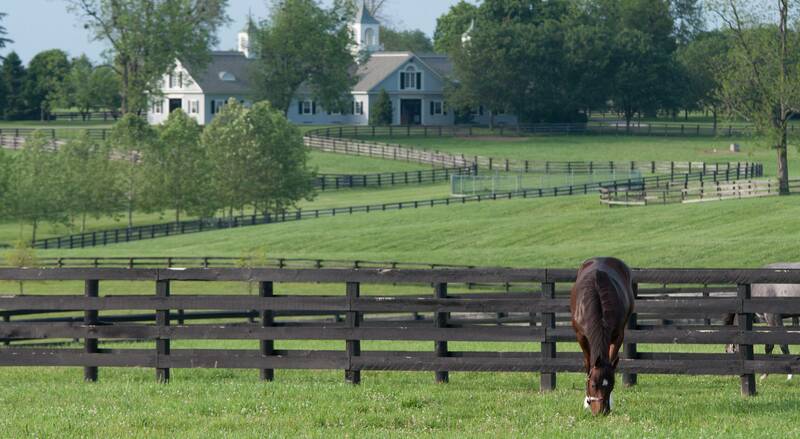 In North America, Thoroughbreds race on dirt, turf, and synthetic courses. Dirt and synthetic tracks utilize the same rating system. The optimal track rating for a dirt or synthetic surface is “fast”, which deems that the surface is dry and even. This can decline to “muddy” or “sloppy” after rainfall. In the event of rain, heavy rollers “seal” the track, which prevents water from seeping into the lower levels. Periodically, a “float”, which is a lighter slab of metal, will be pulled over the track to squeeze off surface water. Track design and soil composition can greatly affect a dirt course’s drainage. Tracks are typically built on a grade to allow water to run off rather than stagnate. The “dirt” on a dirt course can be a blend of many components such as sand, silt, and clay. The exact percentage of each component varies regionally. Condition ratings for turf courses are similar. 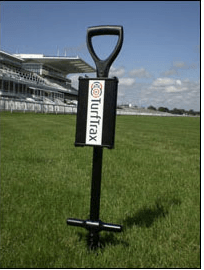 The condition of a turf course is measured with a device called a “penetrometer” or GoingStick, which sinks into the ground to detect the soil’s hardness. Turf superintendents will measure the soil’s hardness in several different places and take the average score to determine its rating. The optimal turf rating is “firm”, which can slide to “yielding” and “soft” with increased moisture. Unlike the dirt track, the turf course cannot be sealed. Races are taken off the turf during heavy rainfall as the wet, soft ground presents a danger to both the equine and human participants. Maintaining a turf course is both an art and a science. The crew walks the course daily to check for weeds and signs of disease. Most of the watering is done through automated systems, and hundreds of gallons of water are used via well pumps and sprinkler heads to keep the course in working condition. Overuse of the turf can cause it to become dry and dusty, so the tracks’ offseasons become crucial in its survival. Seeding and fertilizing will take place during breaks in racing to replace any grass damaged during the meet. Some parts of the country, such as New York, are subject to harsh weather conditions and have adapted their maintenance programs to combat them. Aqueduct Racetrack runs from November through April, during which time they deal with freezing temperatures, wind, and snow. Aqueduct has an advantage in the fight against snow in the form of its limestone base. Most tracks have a clay base that absorbs and expands in wet conditions. Limestone, on the other hand, is impermeable and reflects heat to ward off the snow. Prior to snowfall, the crew tamps down the dirt with heavy rollers to keep moisture on the surface. When the storm has moved on, the crew carves the snowfall off the track with tractor-driven snow blowers. Wedges will follow behind and churn the packed dirt back into the racing surface. In particularly turbulent winters, the frozen earth and snow can take up to two days to remove. Racetracks employ several key pieces of equipment to keep their surfaces in top condition. The chain harrow breaks up dirt and aerates the soil. Harrows were originally drawn by draft animals, but these days, they are pulled by tractors. Tractors with harrows run between races to return the track to an even surface. These harrows are typically followed by massive water trucks that restore any lost moisture to the soil. Finally, the float will pass over the surface to smooth and seal it. Track maintenance begins early each morning when tractors go out to harrow, water, and seal the course in preparation for training. 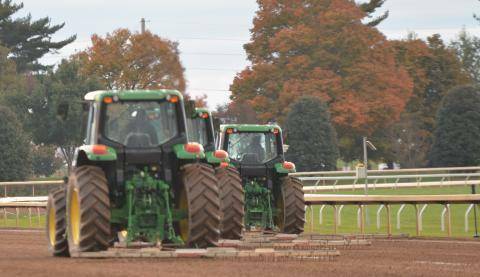 They return to the track during breaks in training to restore the track for the next group of horses. Before the first call to post, truckloads of water—up to 4,000 gallons—are sprayed across the track. Another several thousand are sprayed between races to keep the ground moist. The specific amount will vary based on the weather. 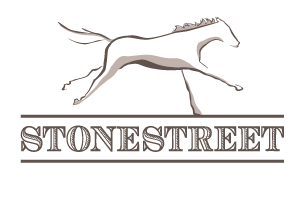 High winds and strong sun can dehydrate the track quickly and harden the surface, creating an unsafe environment for the horses. The track maintenance crew is typically comprised of 5-6 people managed by the track superintendent. The track superintendent is responsible for the condition of racing surfaces for both race days and morning training. Together, they work to maintain the upkeep of the tracks and ensure proper conditions for all activities. Year-round Thoroughbred racing is made possible by the special care and dedication paid towards each racetrack’s condition. Proper track maintenance allows every horse to put their best foot forward.